Shumi Akhtar is a typical 15-year old teenager in Bangladesh. With her shy, sunburnt face, sparkling smile, and shiny eyes, Shumi covers her hair in a soft ordhni while fiddling with her brother’s phone, adjusting the volume as she video chats with me. When I speak to her in Bengali, Shumi’s eyes light up with the realization that someone from America can speak her language. Excitedly, she says, “Khub bhalo laaglo, aapnaar Bangla shuntey.” Feels so good to hear you speak Bengali. Her salwar kameez is worn-cotton with a grey sheen from the water, humidity and the sun that is merciless on clothes in the seaside town in which she lives. Her smile and the confident look in her eye tells me she’s an outlier in one of the poorest countries in South Asia; Shumi is, after all, a trendsetting surfer in a Muslim country. “Where’s Nasima these days?” I ask, already knowing the answer. Nasima Akter first came into prominence a few years ago as the first Muslim surfer girl from Cox’s Bazaar, Bangladesh. Three years ago, I had tried to find her. Instead, I stumbled into this curious group of spunky girls. 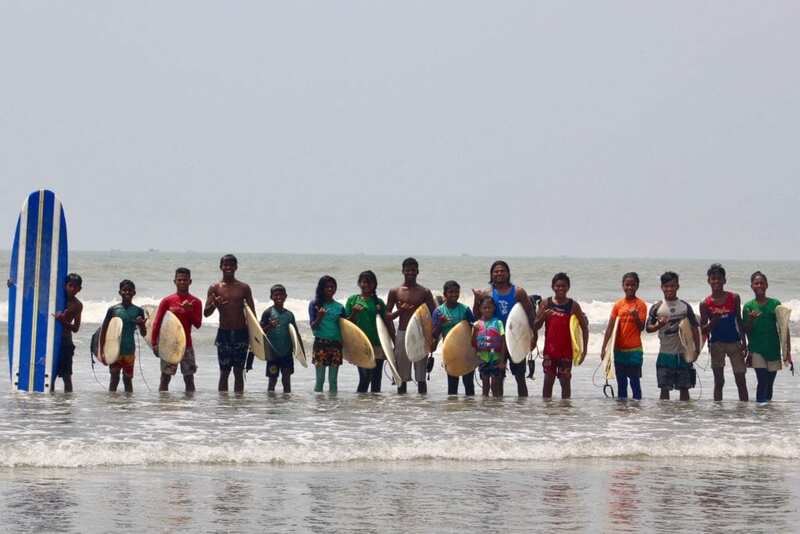 Shumi, Shuma, Rifa, and Shob Majarez are all 15, while Ayesha—Rifa’s kid sister—is also a good surfer but lags behind the other girls who do well in competitions. The first time I met Shumi was when she was a pre-teen smiling at the lens, the joy of being on a board in the water apparent. Her outfit was a cotton salwar kameez that was wet, and certainly not as protective as the suits one is used to seeing from surfers on California’s coast. Her friends were similarly clothed with clothes sticking to their torso, their thin legs balanced on their surfboards, a radical look for women in Bangladesh that announced their fearlessness to the world. Nasima was the first to become a surfer. Born into a poor family, Nasima would have been forced into prostitution if she had stayed home. Instead, Nasima sold cheap trinkets on Cox’s Bazaar beach to tourists. Nasima’s story of getting on the board and surfing the Bangladeshi waters became famous through a documentary where her striking eyes and enticing smile seemed to tell the world: “here’s a girl who loves the water enough to defy traditions and norms.” She joined the Cox’s Bazaar Lifesaving and Surfing Club , and was trained by a fellow Bangladeshi surfer and lifeguard, Rashed Alam. In a culture where roughly 40 percent of girls attend high school and 65 percent of girls are married before the age of 18, Nasima was a trendsetter in her time. After becoming the first female Muslim surfer, Nasima soon gave it up for marriage, ultimately sacrificing her surfing on the altar of societal expectations. Nasima married a young man who wasn’t comfortable with her surfing, she had a child, and assumed the role of mother. These days, the only time the other surfer girls see Nasima is when there’s a surfing contest or media present. “She gets paid by the journalists to participate, you see?” says Shumi, as if confessing a secret. “Oh, and what about you?” I ask. 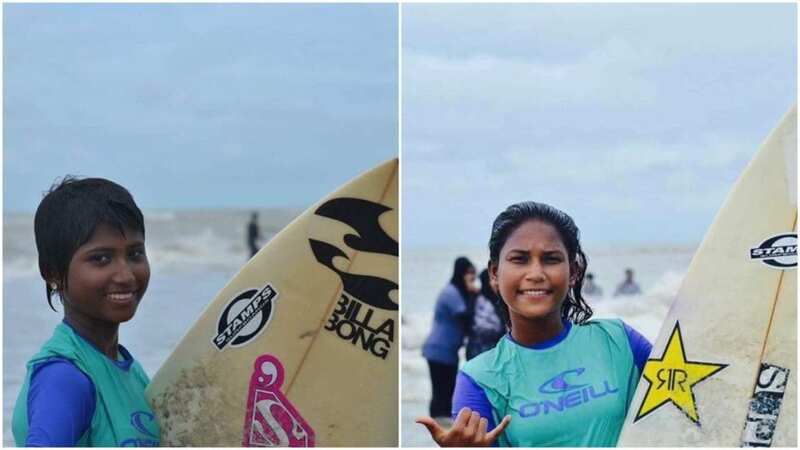 Shumi and her best friend, Suma have been competing together in the yearly Bangladesh surf competitions. The first year, they were ranked fifth and fourth place, and the second year the pair ranked second and third place. All the girls are from Cox’s Bazaar where the families are dependent on the daily sales of trinkets, food, and snacks to tourists on the beach. When the girls met Alam, he was a local celebrity surfer and lifeguard who asked the girls if they wanted to surf. Leaving their boiled eggs on the side, the eager girls said yes, not knowing what surfing meant at the time. When I speak with Alam and his wife, Venessa, in California, they regale me with stories of the girls back in Bangladesh. Stories of how Jahanara, now 14, is taller than Shumi and has her own technique and moves with the shortboard. Stories of how Shumi wants to get a masters in mathematics and keep surfing. The girls persist even when the detractors assume that the girls will stop or become wives. Venessa relentlessly fundraises for the girls, having brought back donated leggings so they would be modestly covered when surfing. O’Neill has donated rash guards and surf outfits that would be unaffordable to the girls, otherwise. Meanwhile, Alam will be heading back to Cox’s Bazaar soon. “He’ll take back a few donated longboards. 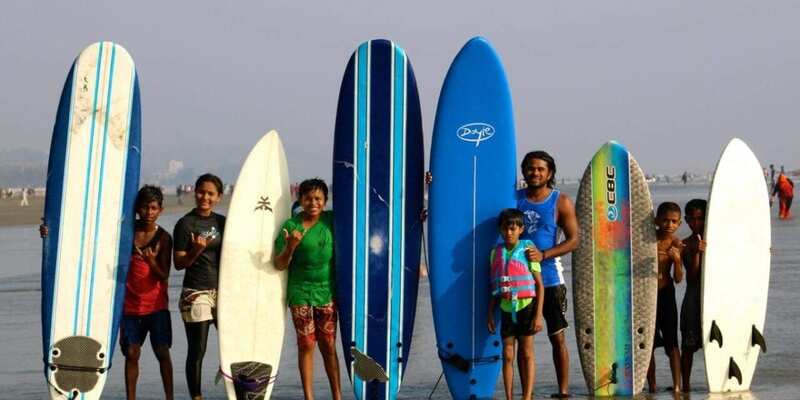 We ship them back so the girls have new boards every year,” says Venessa adding that this year the girls will compete in a surf competition in India in August, with her husband as their chaperone. The challenges these young surfer girls face are foreign to most of us. Gathering passport documentation and heading to Dhaka for visas is expensive. Curiously, anyone applying for an Indian visa, whatever the legitimate reason might be, is considered to be a Rohingya refugee and refused due to bureaucratic challenges within the Bangladeshi government. Venessa and her husband’s never-give-up attitude seems to percolate throughout the girls and the surf club. As a daughter of refugees from Bangladesh, the story of Shumi and here fellow surfers captivated my attention. When India was divided into Pakistan and India, my parents (both children at the time) left Bangladesh to start their lives over in what’s now known as Kolkata. I grew up in New Delhi, a landlocked city where middle-class girls didn’t swim. Even now—despite having moved to San Diego as an immigrant over two decades ago—I still can’t swim. When I tell Shumi this, she is in disbelief. Madhushree Ghosh works in cancer diagnostics in San Diego, California. Her work has been published or a finalist in The New York Times, The Missouri Review, The Chicago Quarterly Review, Panorama (Pushcart-nominated), Garnet News, Hippocampus and others. Currently, Madhushree is an editor at Panorama: The Journal of Intelligent Travel. An Oakley Hall scholar, Madhushree’s award-winning plays have been performed at San Diego Actors Alliance festivals. 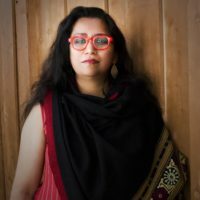 She is working on an essay collection on outlier women, titled "Hatke: Trailblazing Outlier Women" and a memoir, "Dear Ma and Baba: Letters from a Dutiful Daughter". You can reach her @WriteMadhushree.